This HOMCOM Drawer system is a new design with a modern feel. 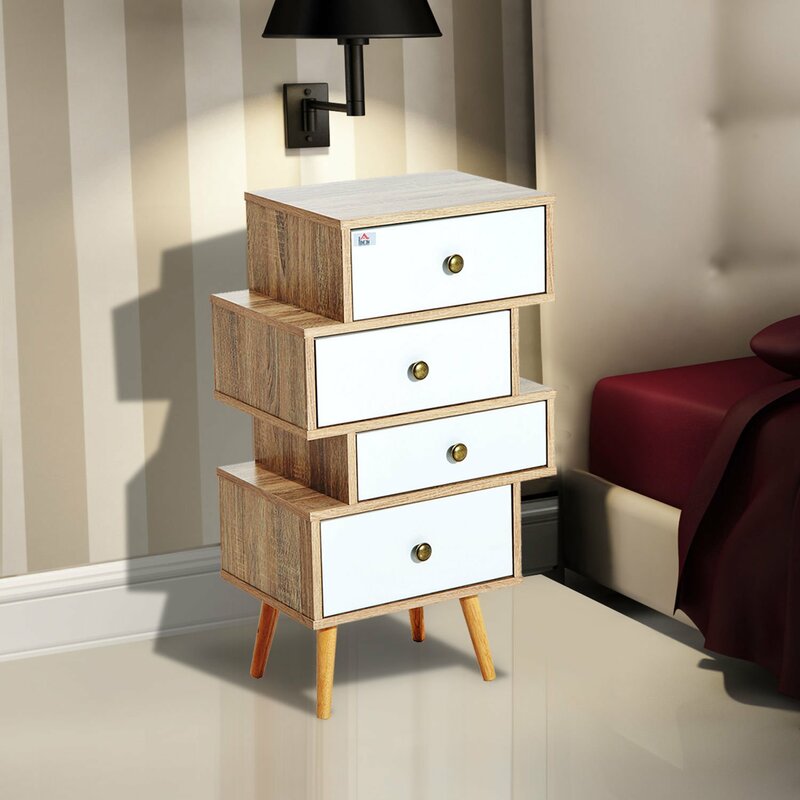 Comes in 4 sections with different size drawers, this can be handy for storing different items and a great look to this set. Made of MDF with a three-color finish, it gives your living space a new modern look. This set is very stylish and a great place to organize your items, with the ability to match any room decor.